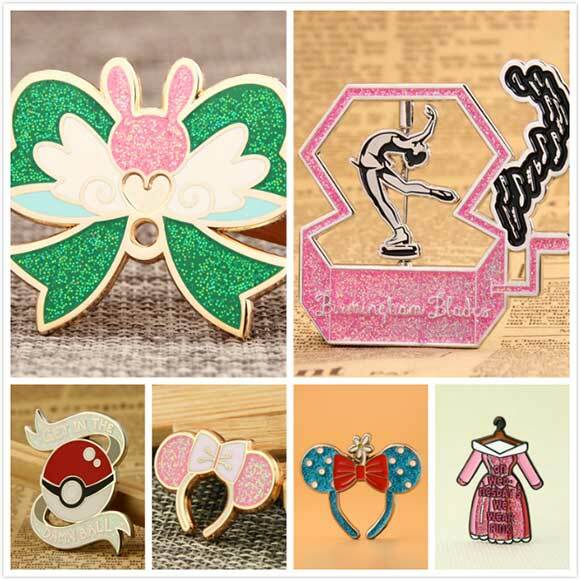 As a professional custom lapel pins manufacturer, how can we be lack of the option of glitter powder (glitter enamel pins)? Maybe you are a little strange about the glitter powder. Nowadays, the glitter powder is an indispensable material in people’s life. 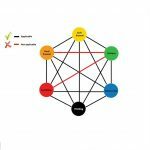 Although those powdered substances are not closely in touch with your life, the products they covered must be closely related to yours. For example, girls love manicure, and their manicures are colorful in styles. Among them, there is a bling-bling flashing nail polish, which is very popular with girls. The nail polish is made from the Glitter Powder. Another example: Christmas is approaching, friends send cards to each other, family and companies start decorating the house and office, small ornaments will be hanging on your Christmas tree in the corner, including many colored gift boxes are all covered with a glittering layer called the glitter powder, which decorated with your ordinary Christmas tree. In fact, the glitter powder is a very versatile powder material, also known as flash film, flash powder. As a unique surface treatment material, the glitter powder is widely used in Christmas crafts, candle technology, cosmetics, screen printing industry, decorative materials, paint decoration, furniture painting, packaging, Christmas gifts, toy pens, etc. The characteristic of the glitter powder is enhancing the visual effect of the products, making the decorative parts have the sense of concavo and convex and more three-dimensional. And its characteristics: highly flashing makes the decorations to be dazzlingly beautiful; the decorations will be brighter and vivid under the sun. They will form some special and eye-catching effects, such as decorating or light reflecting. Are you familiar with this picture? If you need to add the glitter enamel colors to your custom enamel pins, remember to choose the corresponding option in the Automated Quotation System. Or you can tell our salesmen directly as well. 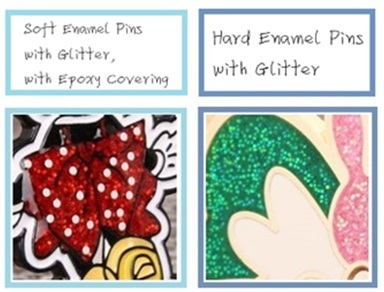 Doubtlessly, we can add the glitter enamel colors to make your enamel pin glitter. 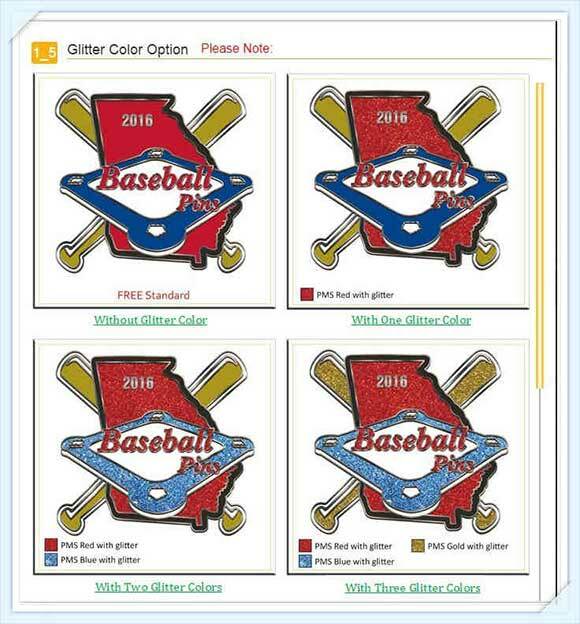 We usually choose the closest visual color of the glitter powder according to color code of your design proof. However, in this usual situation, some glitter powders will flash some other colors, so that will be a gap with your glitter enamel paint that you originally thought about. 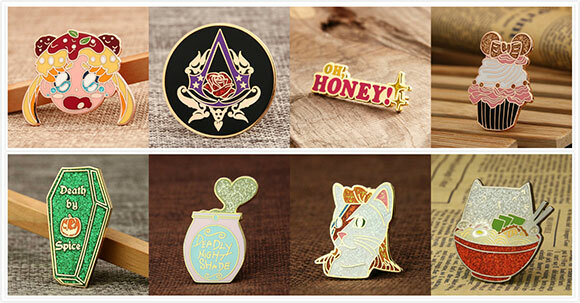 If you require those pure colors of the glitter powders, or a certain color of the glitter powder, in order to prevent later problems, please MUST ask our salesmen to provide you with the sample drawings to confirm before the mass production of your custom glitter enamel pins. Next, let’s enjoy and learn the application of Custom Glitter Enamel Pins. Step 3–Bake the paints to dry and blow off the extra glitter powders then the Soft Enamel Pins with Glitter without epoxy finished. The glitter powder layer is adhered to the surface of the custom enamel pins in touch with the air directly, and you can touch these films by your hand, as time goes on, there will be a possibility of shedding of those glitter powders, as above the Pink Lip Pin showed. 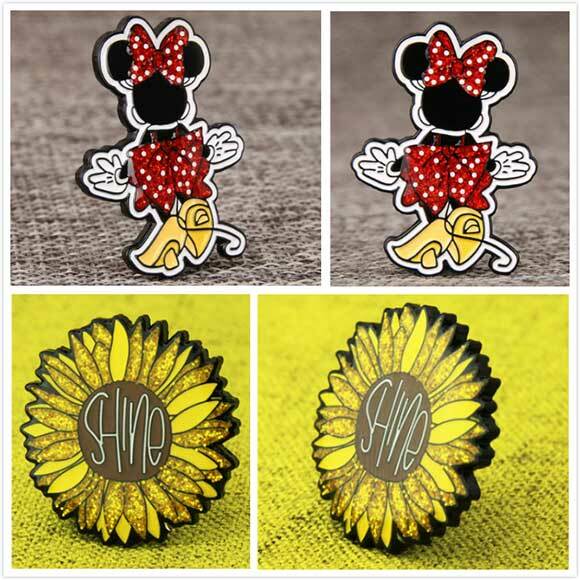 To protect the soft enamel’s glitter areas, adding an epoxy covering to the surface then, as above the bowknot of the Minnie Pin showed. Step 4–Spread an epoxy covering on the soft enamel’s glitter powders areas. Step 5–Bake the epoxy dry then the Soft Enamel Pins with Glitter with epoxy finished. Step 4–Add a layer of transparent additives (differ from epoxy) over the powder to a nearly even surface compared with the metal lines or areas; the glitter powders below the transparent additives can not be in touch with the air directly now. Step 5–Polish to an even surface and electroplate the pin, then the Hard Enamel Pins with Glitter finished. 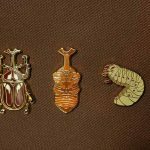 And you will feel just an even surface on the custom pins, as above the Butterfly Pin showed. –The soft enamel pins’ surface with an epoxy covering is bright with a strong sense of reflection due to refraction of light. –But the hard enamel pins’ surface with a polished layer of transparent additives is passivated and has a weak sense of reflection compared to the soft enamel pins with epoxy covering. Once limited to the craft passageway and the children’s hands between the ages of 3 and 9, glitter powder has finally assimilated into the adults’ life of all incomes and ages. The adults decorate their faces, hair, nails and bodies with the glitter powders enthusiastically and, of course, craft the glitter powders. 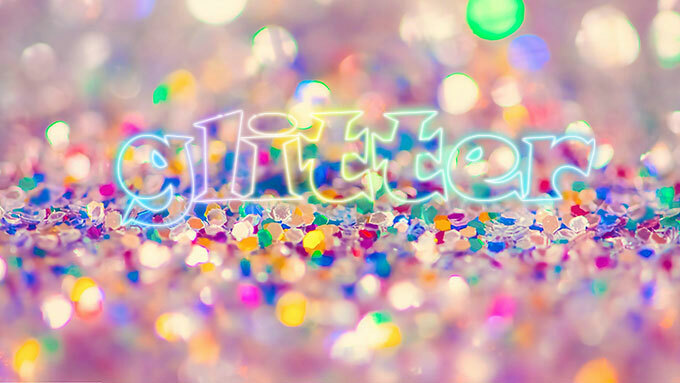 But glitter is more than the thing you look at or use. The use of the glitter is really a kind of interesting spices in our life, whose rich colors bring people a colorful life. It’s a kind of lifestyles and people’s state of mind for those who want to glitter from inside to out. 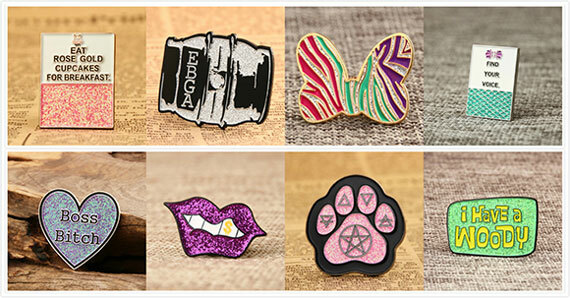 Those custom glitter enamel pins are the perfect gifts for those who glitter lovers. Filled with a huge selection of creative ideas for glittery craft works at GS-JJ.com and indulge your shiny and sparkling side and embrace your obsession for glitter with our collection of the custom glitter pins!